The smartest way to ride safely, in warmth and with full coverage has never looked so stylish! 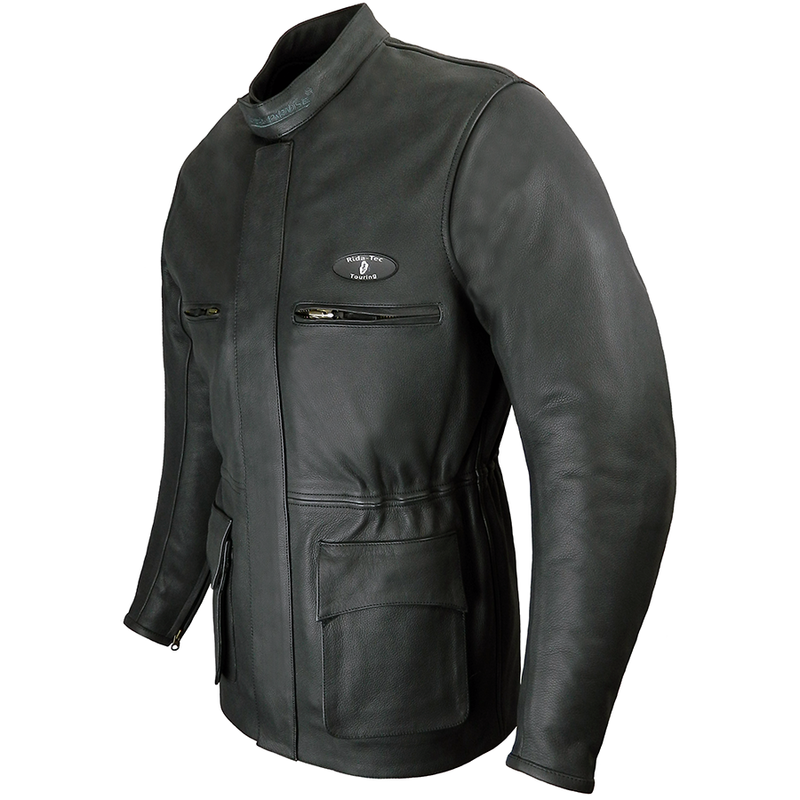 This matt black cowhide touring jacket is essential for… Well, touring! It also manages to be suitable in the warmer weather by having a zip out winter lining. - 1.2 – 1.3mm cowhide. 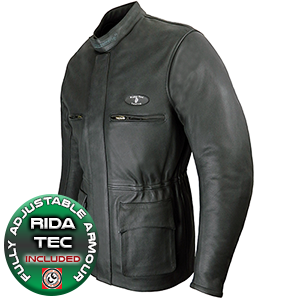 The ideal leather thickness to be comfortable and durable while offering impressive abrasion resistance. - Both fixed Airtex lining and zip-out quilted lining are cotton-rich which is important if you come off. Being a natural material, the cotton lining won’t melt into your skin with friction heat. - Fully adjustable Viscotec CE memory armour included in shoulders and elbows. This superior armour is impact-absorbent and flexible with comfortable feathered-edging. 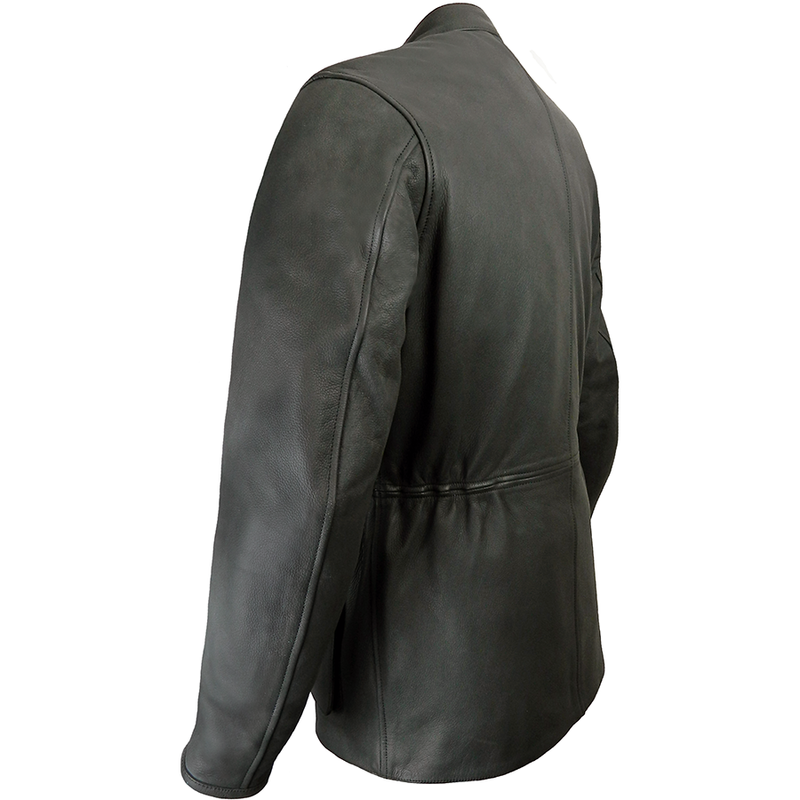 - Long length touring jacket that covers down to the bum. - Zip-out quilted cotton winter lining. - Leather mandarin collar with Velcro strap for a snug, draft-free fit. - Main two-way zip fastening with leather Velcro flap covering. - Four external pockets (two zipped and two large Velcro fastened). Two internal pockets (one zipped. Both internal pockets are accessible whether winter lining is in or out). - Zipped cuffs. It is important for cuffs to be snug on a motorcycle jacket to lower the chance of them being ripped up the arm and exposing your skin in a slide down the road. This would make glove fitting awkward so the cuff zips ensure this isn’t an issue. - Elasticated waistband to allow a snug fit and help prevent uncomfortable drafts. - Strong and supple cowhide that, if taken care of, will last and last for many years. - Genuine YKK zips – the best quality we’ve found. 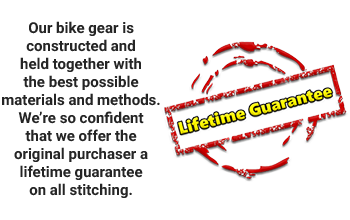 - Quality Nylon-bonded thread used throughout with double and internal stitching in vulnerable areas for added safety. We hope the styling speaks for itself. It’s a good looking motorcycle jacket, no? Enjoy, don’t endure, those long rides.